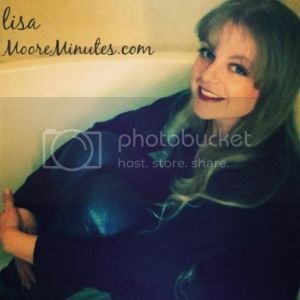 This is part 3 of a 3 part blog series. Please view part 1 and part 2 for details on the other rooms. I'm not too "theme-y" with bedrooms because walking into a room with a million supermen staring at me or feeling engulfed in Disney characters doesn't feel too peaceful. However, I do like to follow a style or idea theme to pull everything together and to prevent getting lost in a mismatched mess. Instead of finding a favorite themed thing of the moment I decided to style each of their rooms according to their personalities. Titus, our youngest, is very chill, happy, and artsy. 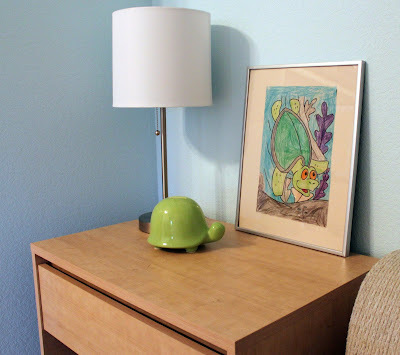 I wanted to make his room feel fresh and hip, like our little guy! I used a lot of natural decor, mixed with some modern to create his eco-friendly space. Titus' room needed to be a tranquil place of inspiration for his care free spirit to thrive. When Titus grows up, I'm sure he will be a surf bum on a sandy beach...that's just the way he rolls. 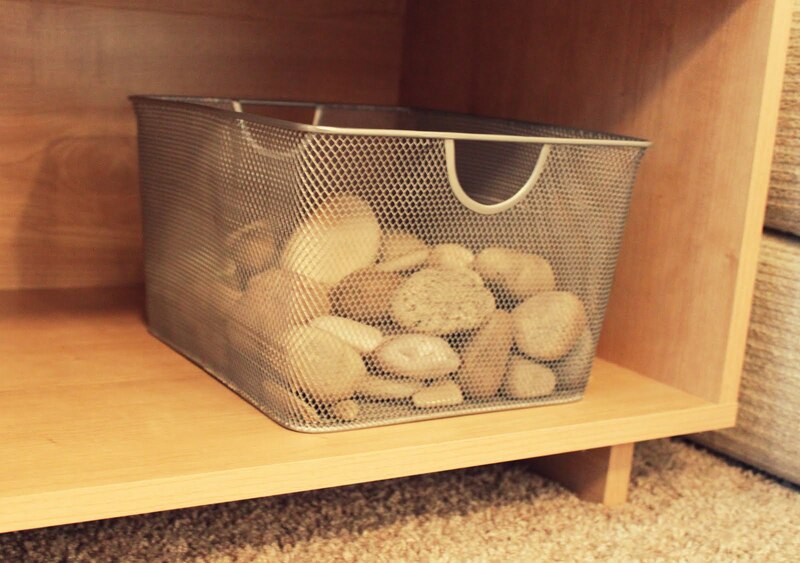 We collected a basket of rocks as decor to pull the outdoor elements inside. These rocks also double as "toys". 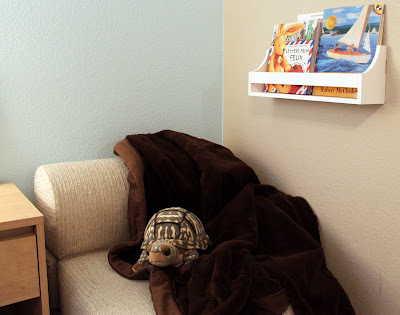 His reading corner has a surprise pop of blue for that extra mellow relaxation time. Each boy actually has a special reading area in their rooms. I feel it's important to have a designated spot for quiet, a place they can each call their own. We also keep books next to his pillow, up in his bed. 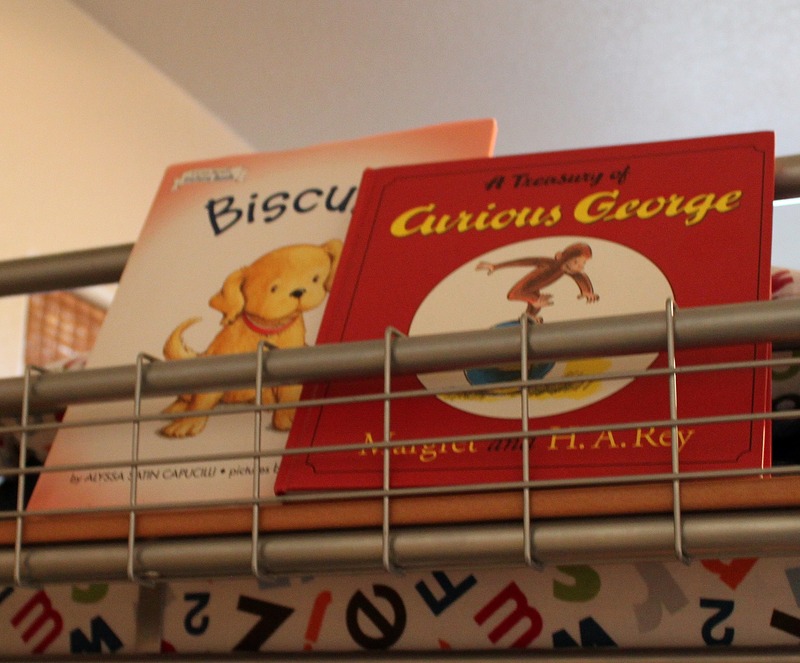 Displaying books everywhere in our home is very important to us. Chris and I hope it helps the boys adopt a love for reading. 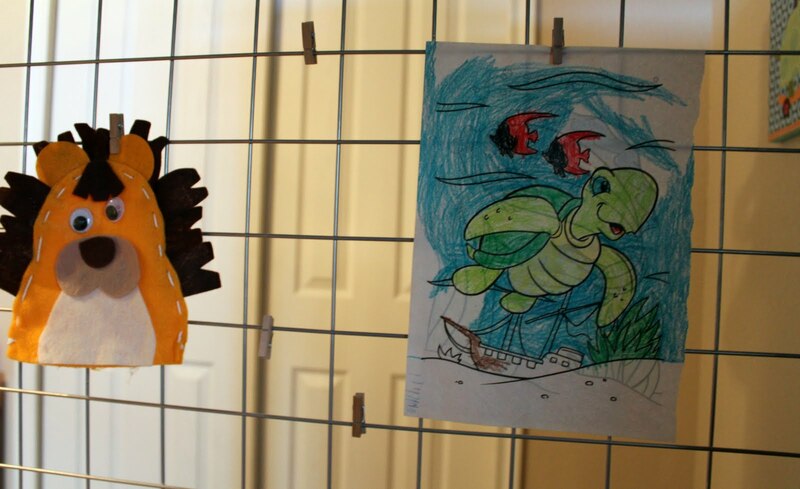 I framed Titus' own art for part of the decor. 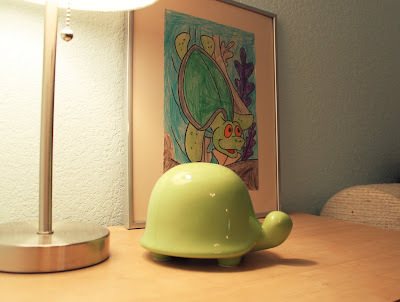 He colored the turtle page in kindergarten. I bended my no theme bedroom policy just a bit in this room. 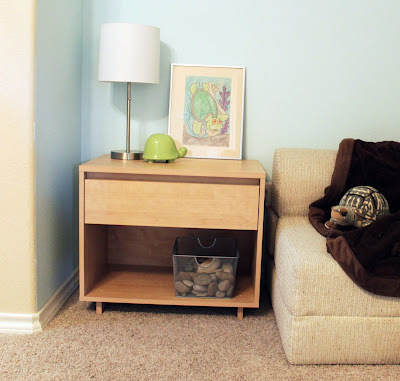 When Titus was barely 2 years old, I spoiled him with a tiny stuffed animal turtle named Patience. It was one of those moments where "he had to have it", and his 2 year old face was far too cute to resist. Ever since, Titus has had a love affair with turtles. As I've mentioned in the previous posts for this series, I store different toys in each boys' room. 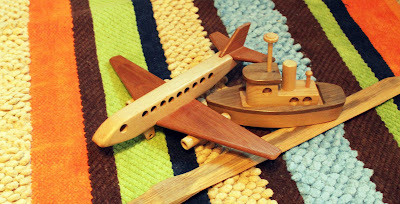 We keep games and instruments in Cameron's room, vintage old toys and trucks in Kotah's room, and in Titus' room, we keep the handmade, natural toys to blend with his bedroom style. Chris makes wooden swords all the time for the boys. He does such amazing work on them! I've also mentioned in the other posts that a large part of the boys' bedrooms are used for their school and study space because we home school. Titus has his desk area under his bed. 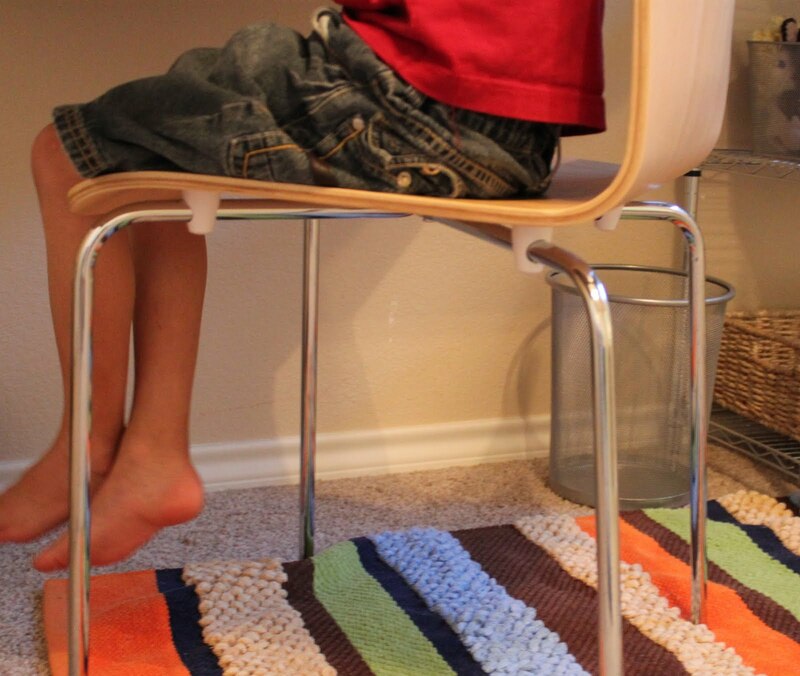 He has a lot of handmade and eco-friendly school supplies. 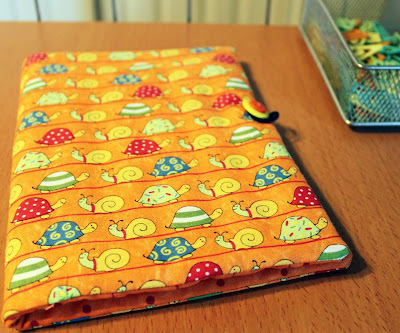 This is a handmade folder from TinkQuilts on etsy used to hold his pencils and papers. It is adorable and so well made! 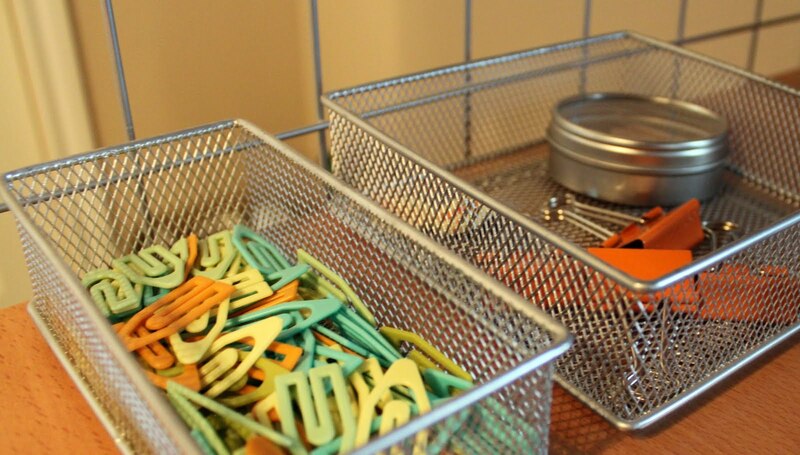 These paperclips are made from recycled STUFF. throughout his room in the details. 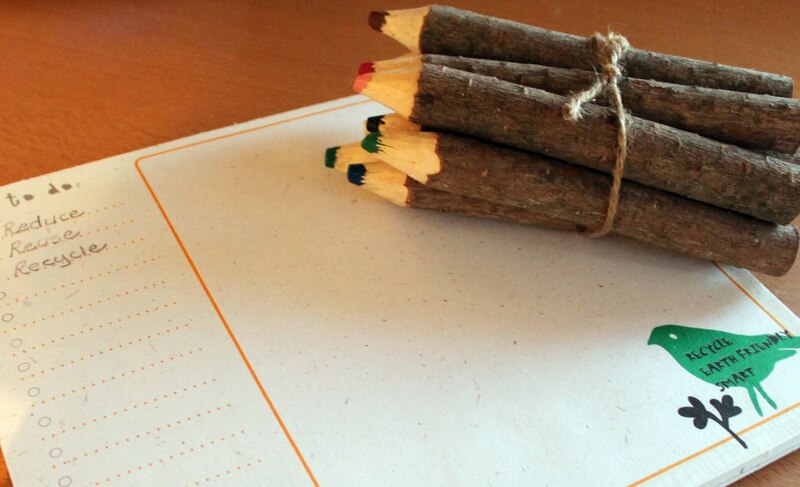 And these super cool wood pencils have my heart! It's important for kids to have their own place of full control where they can display their art, to-do lists, and inspirations. 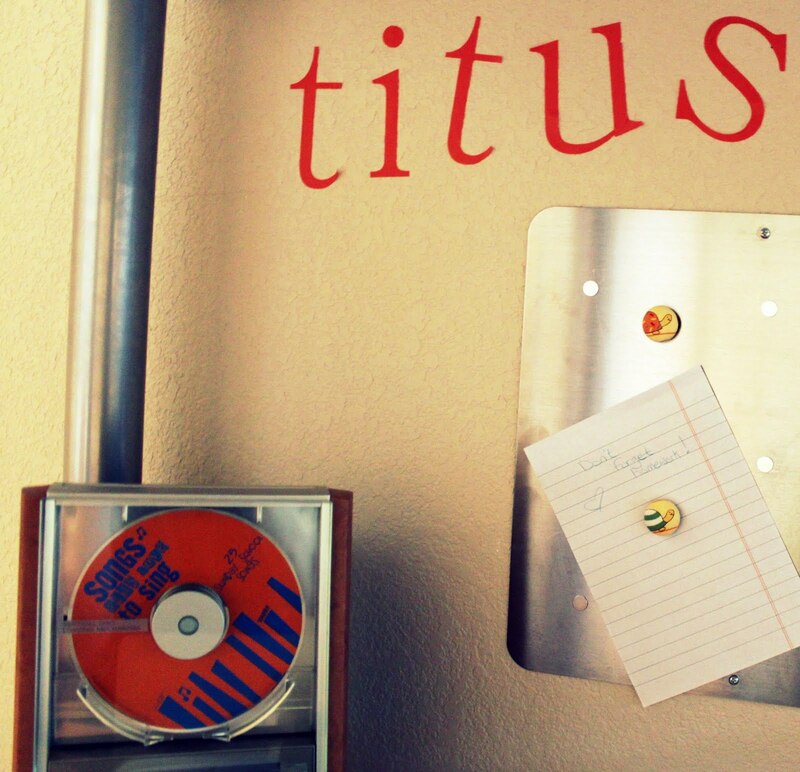 Instead of a bulletin board, Titus has both a magnetic board and the wiring of his bunk bed. 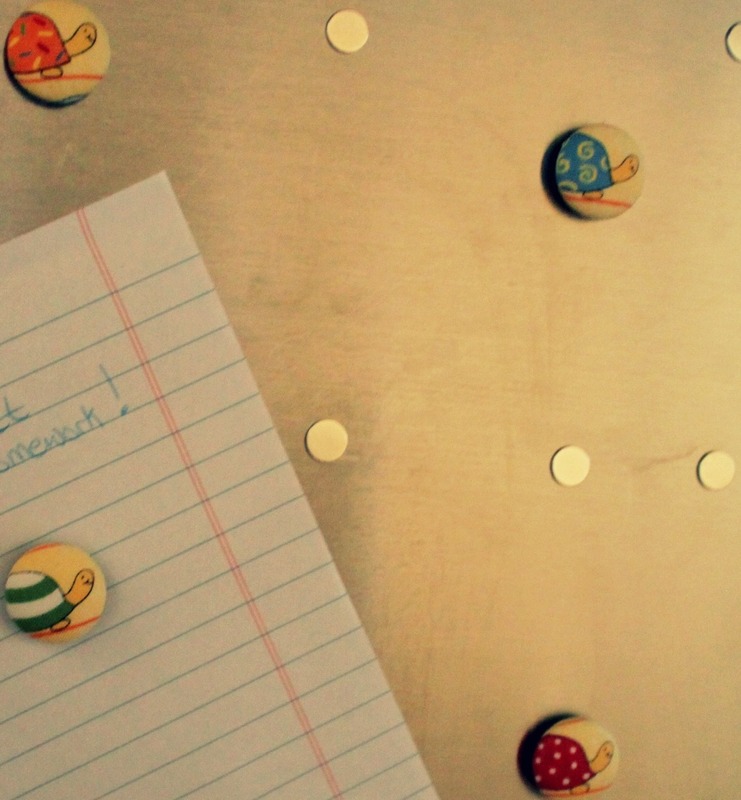 His magnetic board has adorable turtle magnets. 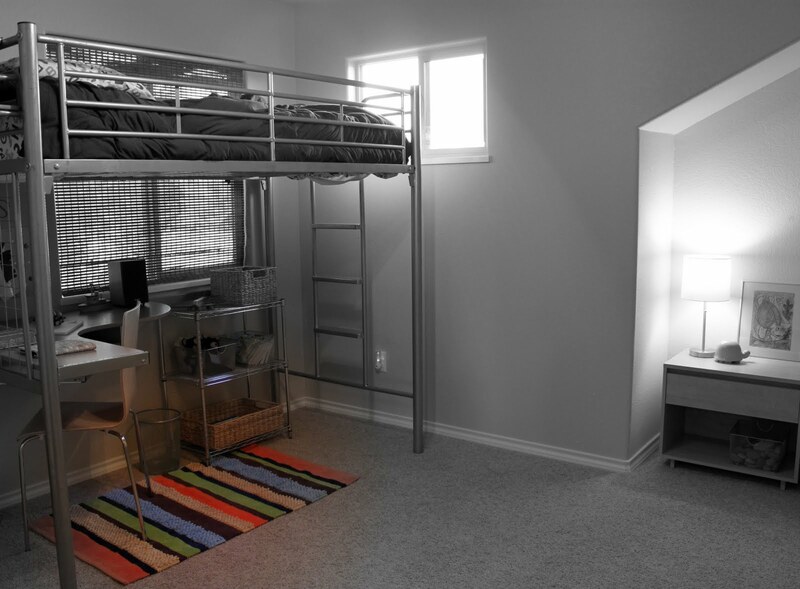 He is also able to use the wiring of his bunk bed for art display. I gave him a handful of mini clothespins to attach his treasures to the wiring. He has a wire bookshelf to hold his school supplies. 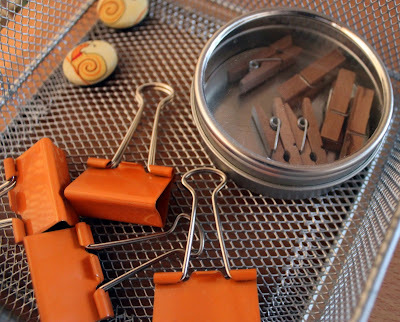 It was fun to mix modern and functional metals with earthy, warm, natural elements. 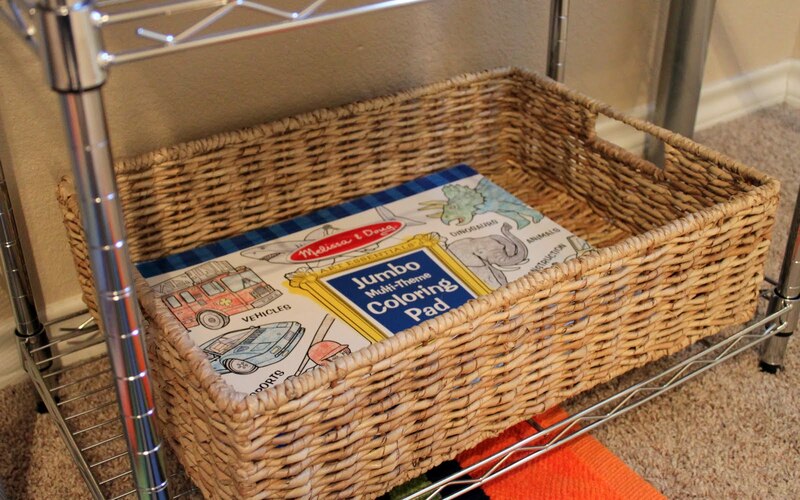 Titus gets a big toy bin organizer against his wall because he desperately needs it. He quickly creates a mess. He is our messy little boy, who loves life too much to worry about keeping his room clean. This room is a perfect fit for our baby youngest son! and that's all so Titus. Okay! That's a wrap on the 3 part boy bedroom series. I don't know!! As I looked at each room I thought it would be my favorite...but I can't pick (and hurt the other two rooms' feelings! ;>) You did a wonderful job on everything and should be proud that you have made such special spots for all your boys! 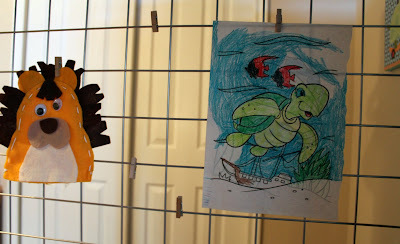 Whenever I see Patience the turtle, I hear Titus saying "patience" in his soothing little voice. It makes me feel warm and peaceful inside. Our of all 3 rooms I find myself the most at peace in Ti's room. Even when he has managed to drag every toy out, filling every inch of floor space, there is something calming about "his" space. 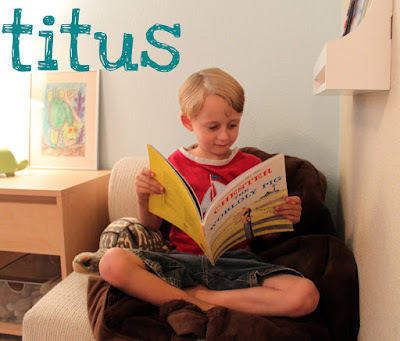 I love the colors in Titus' room. THe little turtles are adorable. I don't think I could pick a favorite. You did such a great job on all of them. 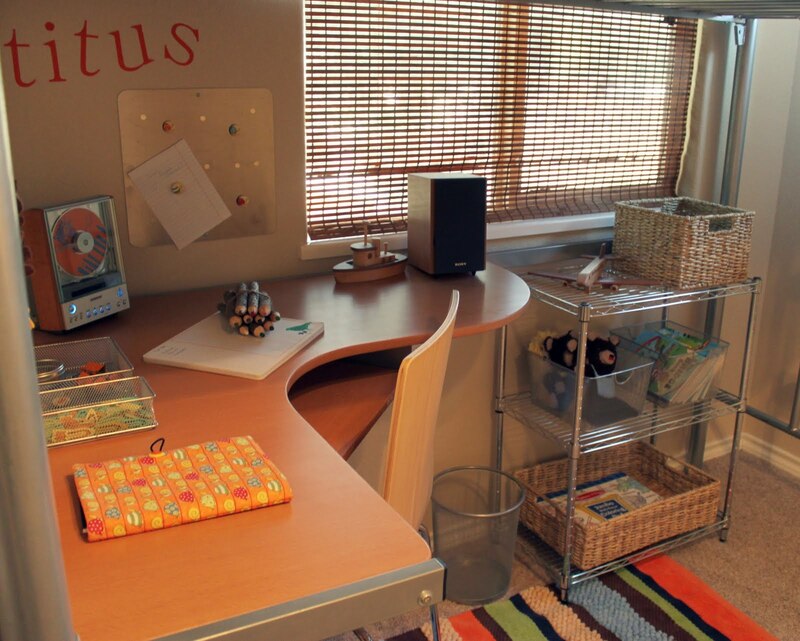 I love Titus's room! It's really soothing...must be the slow-paced turtles all around. 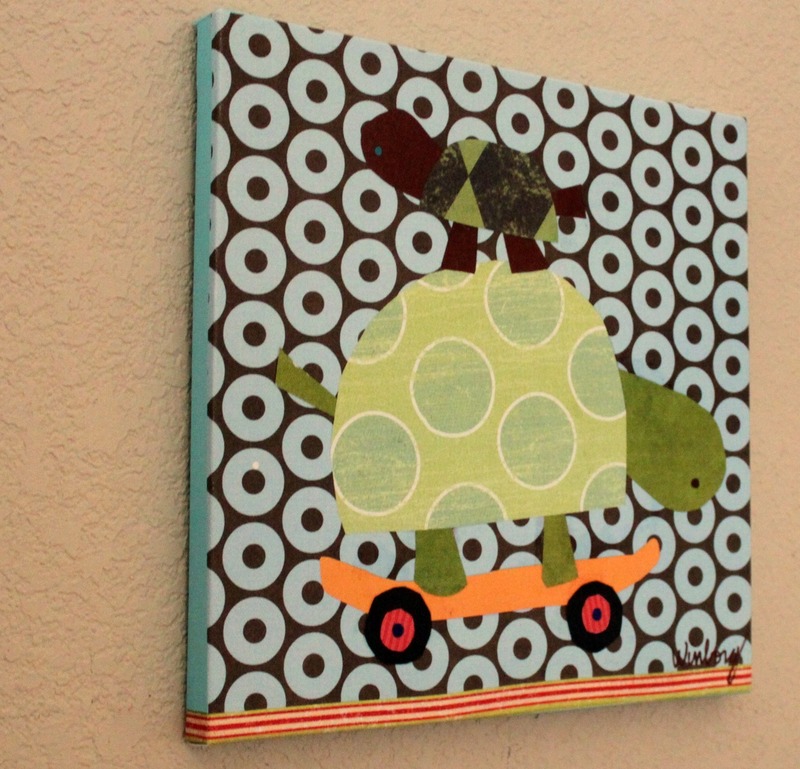 I especially love the mixed media turtle on the skateboard. Priceless! By vintage I really meant urban. I'm another fan of Titus' room. Turtles are my absolute favorite, too. 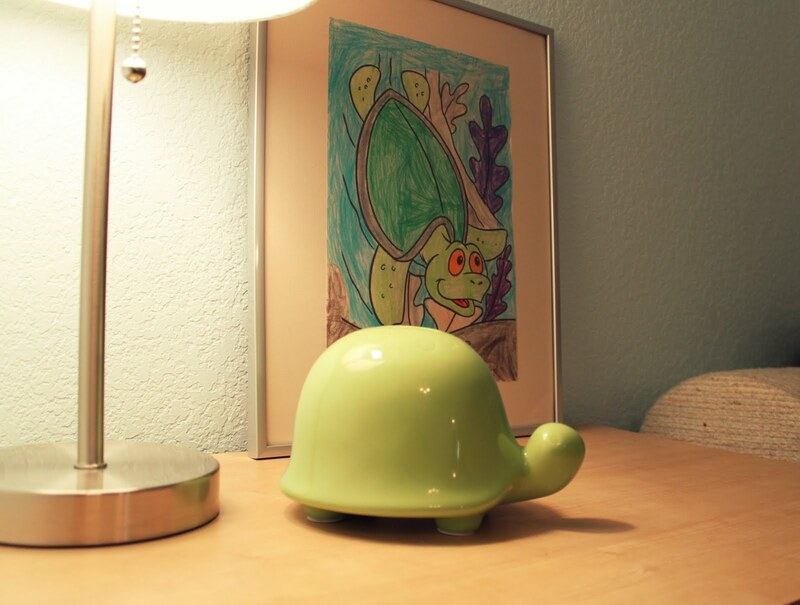 I love how you've kept the turtle decor from seeming kitschy. What a lovely room! Great job! Truly love that you are keeping the books next to the pillow. I adore the wooden airplane too! Stopping by from Tip Me Tuesday. Oh goodness....It's hard to say which room is my favorite! I enjoyed looking around every one of them, and I especially enjoyed how you are obviously so very in tune to each of them, and their own unique personalities. I think maybe I am partial to Titus' here. It's such a sweet age, and I love his easy going spirit. Good for you for making so many books available to them! That's what we've always done, and we are blessed to have 4 readers, who spend many hours a week, reading one book after another. And lately, they've veen been writing a book review after each one, in journals. Thanks so much for sharing! 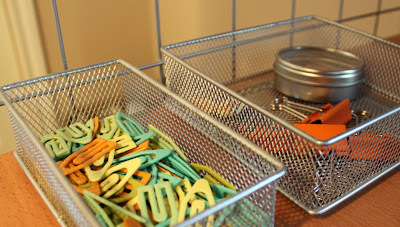 I'll be starting creative Link-Up parties next week, if you want to swing by!! I love all of them! I love all your attention to detail. It makes me want to have boys one day, haha! Amazing ! Will have to take more time and 'study' the other two rooms before I make a decision. 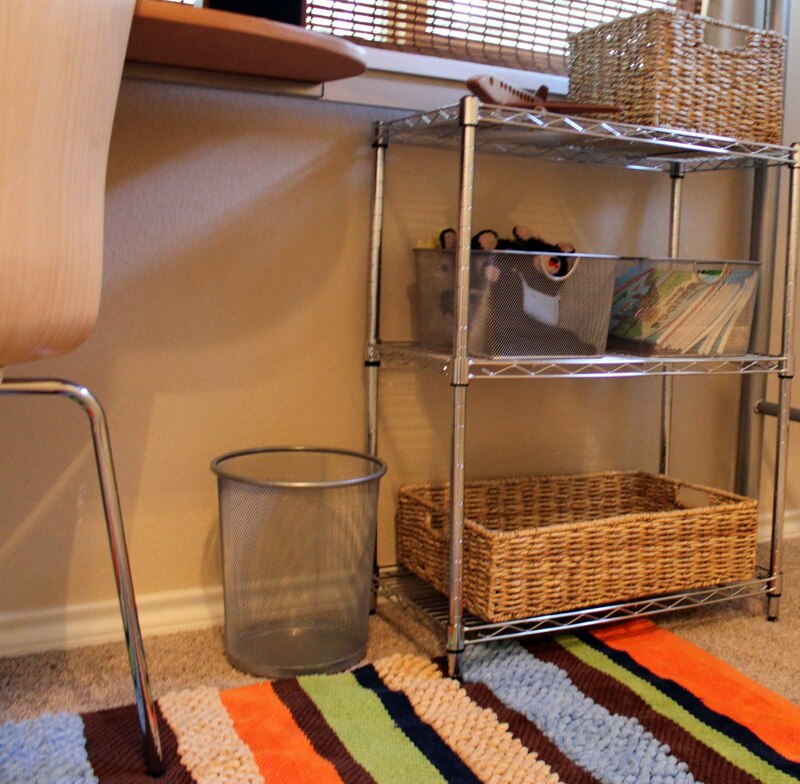 I am trying to 'de-clutter' . . . 'organize my life' . . . re-organize my life . . . admitting I am a hoarder of my school resources . . . admitting that I will never be back in the classroom . . .
OK. OK. 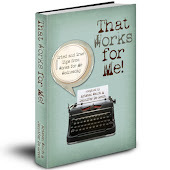 Here's the deal: I have some excellent lesson plans that I developed over the years. Resource books. Library books. And. On. And. On. Before I donate them to one of the schools where I taught, do you want to come over and choose what you would like to have ? Call me. I love elements from each of the rooms! This room is so soothing and relaxing it would probably be MY favorite, but the older boys I know would probably be all about the other two! I'd love it if you Linked up to the Glitter Party! Love this room. Love the basket of rocks and the turtle!! Stopping in from the hop. Already a follower of yours!! Love the colors of this room also. adorable room! 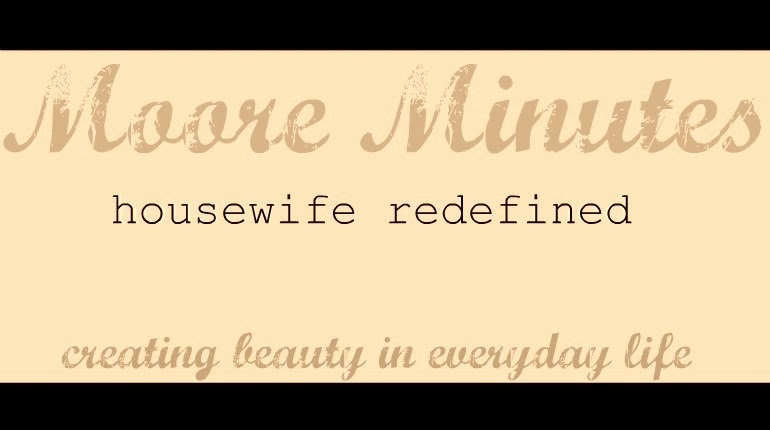 feel free to submit to spearmintbaby@gmail.com for a room feature! 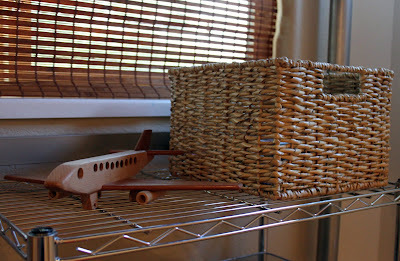 btw, i found you on the blog hop! Realistically, they're too nice. I'd be afraid to use them! Okay I HAVE TO vote for this room. 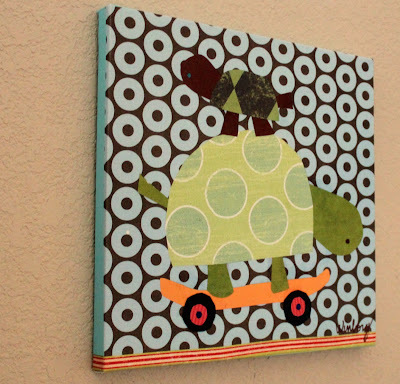 Love all the turtle stuff especially the ones on the skateboard. Was thrilled to see the turtle busy book you bought from my Etsy shop. So glad it is being used and loved. I love bits and pieces of all of them. 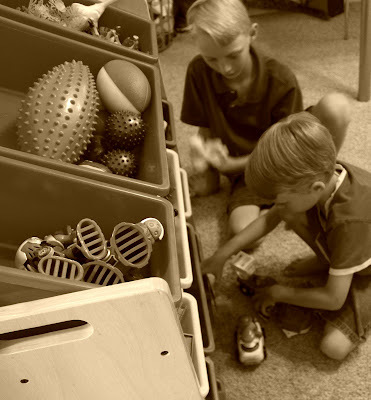 I shared some of the last 2 on my blog...4growingboys.blogspot.com. I think Vintage Urban is my favorite though. Perhaps because it seemed to fit my boys more. Love all the ideas! Boy room decor ideas are so rare. Keep them coming! Very cute. Love the serene colors & feel of the space. 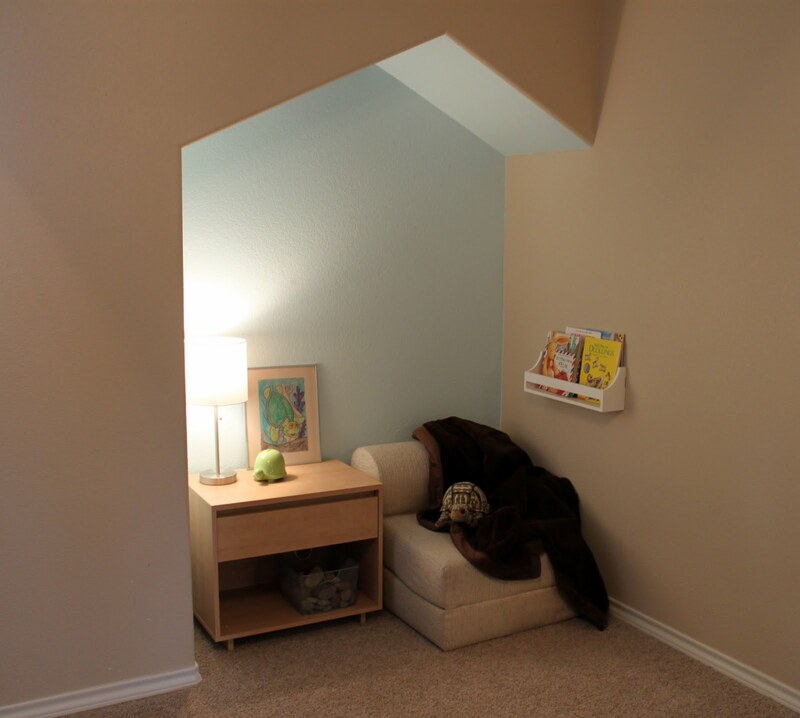 Especially that little alcove! Wow, I saw the other two rooms and thought they were so fun and creative, but then I saw this one and just feel in love! It is soothing and has so many great little touches, but the others do as well. They are all really wonderful!! It's gorgeous! I love the turtle artwork. I just finished my boys pirate ship room ~ come check it out sometime! What a lovely space! 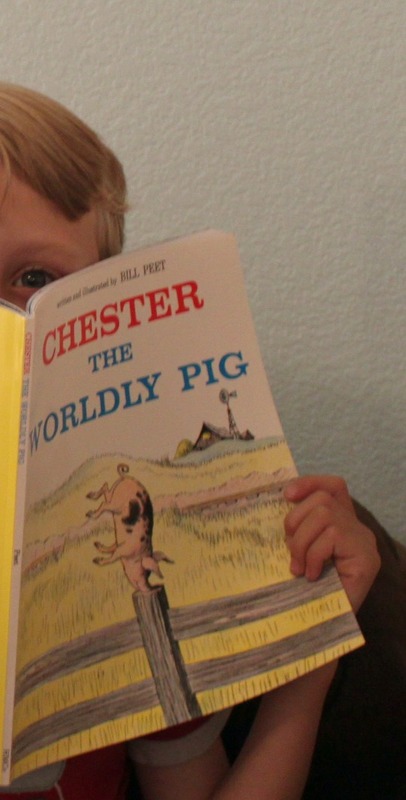 I love how you treat books as things of beauty and treasure your children's artwork. 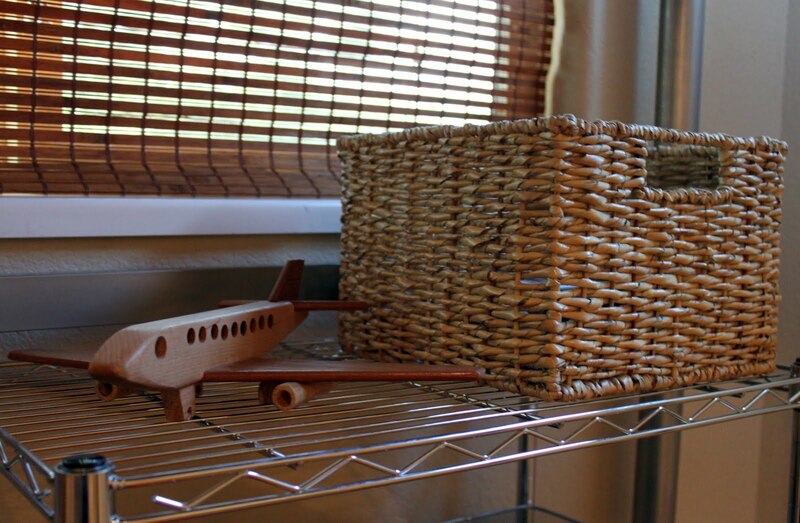 And I have to agree - baskets are amazing! I just took a peek at your other boys' rooms and they are all so wonderful. I love the little nook! found you off TCD link party....I did a little girl's room in all natural no voc pink clay....stop by if you want!